Who doesn’t love going on a shopping spree in Camp? We know we do. 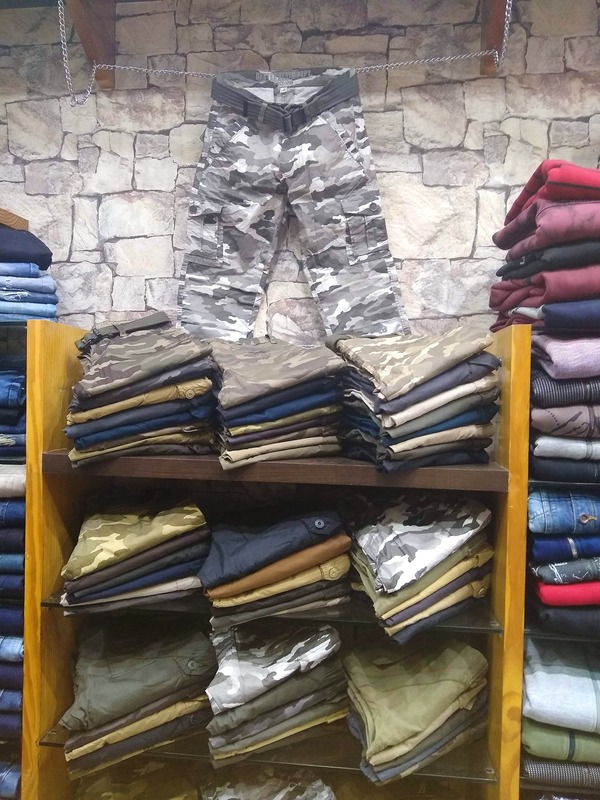 Located in Kumar Plaza, MSONS caters to men’s wear and stocks up on everything from trousers, winter jackets, hoodies, t-shirts and shirts to jeans and more. It’s an ideal one-stop shop for men who want to shop for casual and formal attires. We liked their pastel shirts, apt for the hot days that’ll hit us soon. The prices for shirts start at INR 1200 and you’ll get a good quality of cotton and other blended fabrics. We aren’t big fans of their printed shirts, but if you’re into floral designs on darker backgrounds, you’ll probably like their collection. We’d recommend buying their range of checkered shirts that’ll be perfect for days you want to slip into something that’s semi-casual. From their t-shirts, we prefered the plain collared ones, which were either in pastel or neutral tones. We’d ditch the printed t-shirts and graphic tees here. But if you’re getting on the camouflage trend that’s coming back on shelves, pick up capris, and casual pants. In fact, there’s a dedicated section for the print and a range of bottoms you can pick from. If you’re looking to buy bottoms, capris start at INR 900 and you can shop for trousers for work starting at INR 1000. If you don’t want a branded pair of jeans, shop for a pair here starting at INR 2000. You’ll definitely find a lot of pieces to add to your wardrobe, without burning holes in your pocket. We wish they had a better collection of printed shirts and t-shirts.